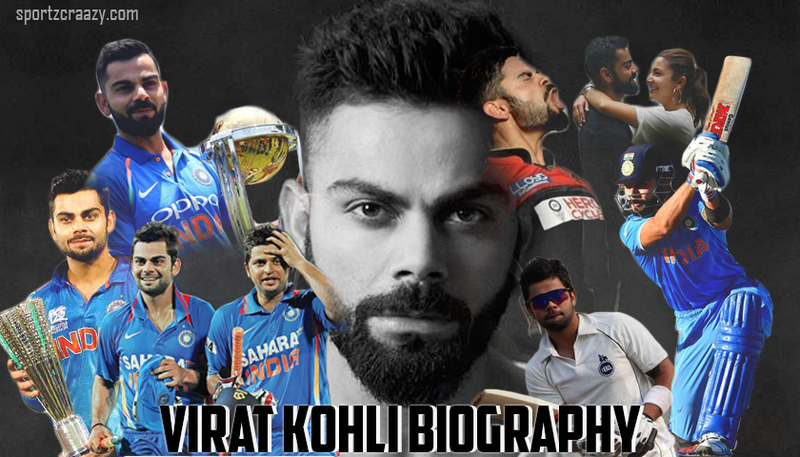 Virat Kohli Biography: Virat Kohli can certainly be listed amongst the best cricketers of the current era and his big list of records along with current form further makes him one of the biggest players in the sport’s history. He is one of the few players who is loved and followed by almost every cricket fans around the world irrespective of the country and state they belonged to and that can very well be quoted as the biggest reason of his worldwide popularity. 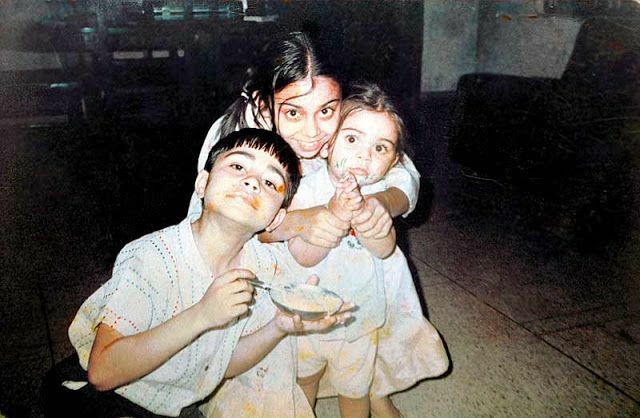 Virat Kohli Biography: Virat Kohli was born on 5 November 1988 to his parents Prem Kohli and Saroj Kohli and he also got an elder brother Vikas and elder sister Bhavna in his family. Virat, famously known as “Chikoo” to his near and dear ones, was into the sports of cricket form his early days only. Whilst his father was a criminal lawyer, his mother was a housewife and they both have contributed big time in making of the “ Virat Kohli” the cricketer. 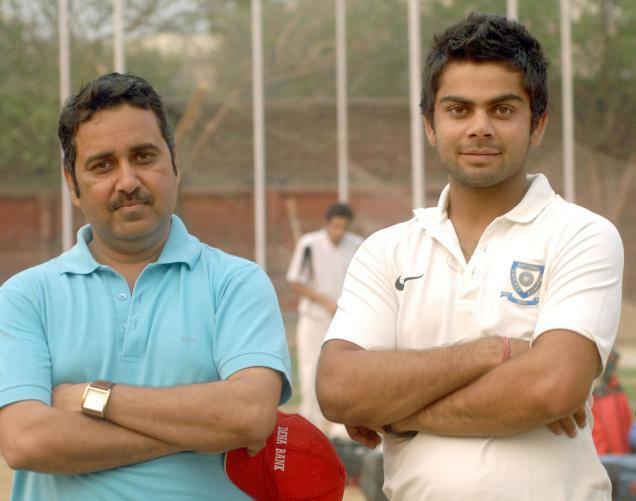 Kohli did his schooling from Vishal Bharti School in Delhi and seeing his interest in cricket, his father made him enroll in the West Delhi cricket academy under the supervision of famous coach Raj Kumar Sharma when he was just nine years old. Virat further pursued his cricket training in the Sumit Dogra Cricket Academy and that’s where his journey to become a prolific cricketer, kick-started. Virat Kohli Biography: In the year 2002, Virat first played for Delhi under -15 team and went on to become the leading run scorer for the Polly umrigar trophy within the same year. This further made hi earn the captaincy role for the team in the 2003 edition of the same tournament. He then got selected for the Delhi under -15 fewer than 17 team in 2003-04 for the Vijay Merchant trophy and once again proved his prowess in the 22 yards whilst scoring 470 runs in the 4 matches he played with an average of 117.50. 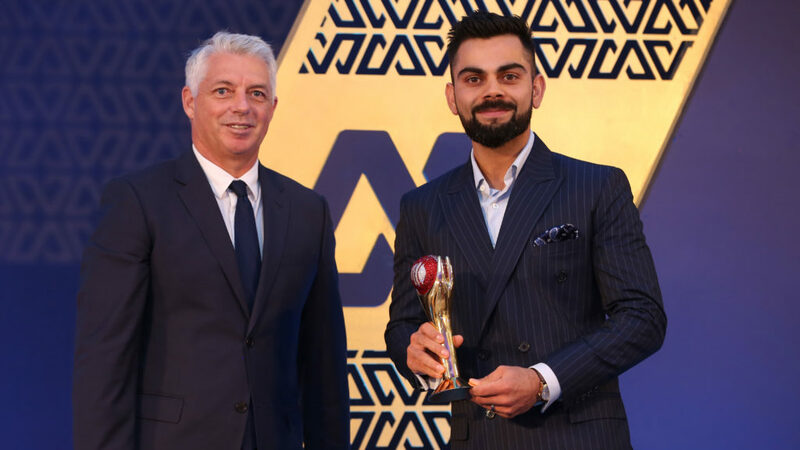 Moreover, his continuous brilliance in batting made his team win the same trophy next season and Virat once again emerged out as one of the topmost performers of the tournament in the process. While Virat was delivering some notable performances on the field with his bat, it was just a matter of time when he was supposed to be noticed by the National selectors in the same regards. Finally, after a big list of magnificent performances, he finally earned a call up to the India u 19 squads which were going to the tour of England in 2006. Once again, the Indian team came out as victorious in the 3 match series and once again, Virat topped the list of the best performers in the series with an unbelievable average of 105. He went on to keep his brilliant run with the Under 19 squad in the coming tour of Pakistan and seems like all set to make his debut for the National senior team. Virat Kohli Biography: Virat was undoubted, one of the best players in the youth circuit that point of time and his continuous brilliance with the bat for the u19 team made him earn the captaincy role for the same team in the u19 world cup held in Malaysia in 2008. Eventually, he made the team lifted the world cup and played a big role in their overall campaign during the process. It was only after the same victory that he was bought by the IPL franchise Royal Challengers Bangalore in 2008 with a price bracket of $ 30000. Virat Kohli Biography: Virat finally earned a spot in the National team during their tour of Sri Lanka and in the absence of their regular openers Sachin Tendulkar and Virender Sehwag, team management trusted Virat for the same role in the 5 match series. Although Virat didn’t been able to leave a big impact in the same series, India went on to win the series 3-2 which was also their first ODI victory against Lankans on their own soil. Meanwhile, Virat continued his good run with the bat and he finally grabbed his first man of the match award in ICC champion’s trophy against West Indies whilst playing a brilliant inning of 79 runs. This was the time when Virat was still establishing himself as a cricketer in the National arena and it was in 2009 when he scored his first century against the Sri Lankan team in the fourth ODI of the home series in India. Virat Kohli Biography: Although Virat was been a part of the India u19 world cup team which won the world cup earlier, being the member of the world cup squad of the senior team was certainly whole different feeling for him. Once again, he proved his prowess on the field and kick-started India’s world cup campaign with a century against the Bangladesh team which also made him the first Indian player t9o score a century in his first world cup match only. Subsequently, Indian made into the finals and Virat played every match in the process and whilst the team was struggling against Sri Lanka in the finals, he contributed with a vital 35 runs which proved crucial in India’s first world cup victory after 28 years. Even as per Virat,” Nothing can beat that feeling where you have been a part of your team’s victory in a world cup final”. Virat Kohli Biography: Although Virat has showcased his skills in the limited over’s cricket, he was yet to make his mark in the five days format. That where he finally got a chance to be a part of the Indian test squad for the west indies tour in 2011 where he was one of the three uncapped players in the team. 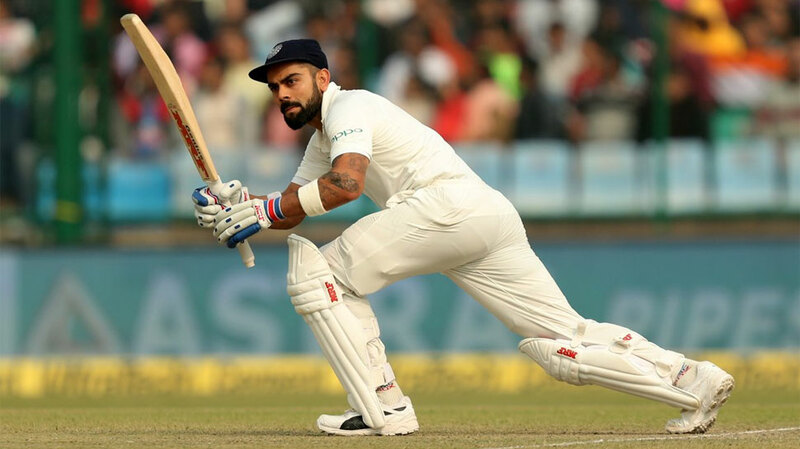 Although India came out as a winner of the series with 1-0, Virat didn’t impress the selectors whilst making just 76 runs in the three tests and eventually got dropped from the test squad. Although he was again recalled for the test squad during India’s tour of England in 2011 in order to replace the injured Yuvraj Singh, he didn’t get to play a single match during the same series but still got chance in the ODI format where he played some good knocks. 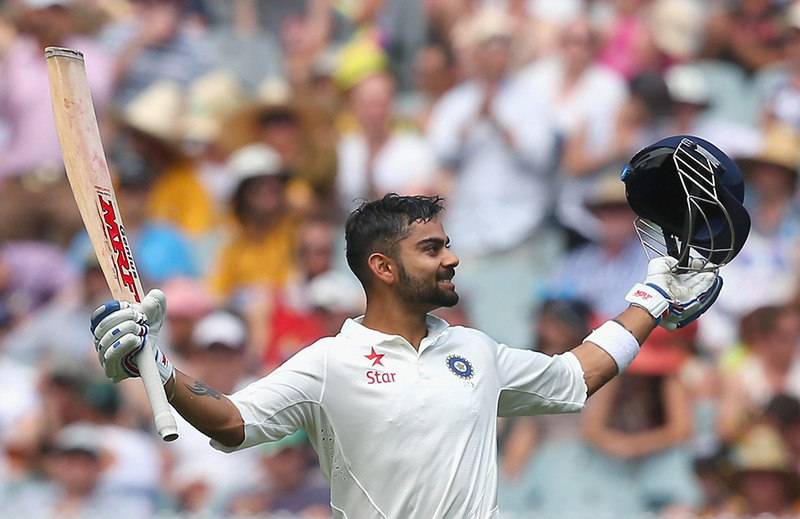 Virat Kohli Biography: When everyone thought that this player is not the right fit in the test squad, Virat proved everyone wrong by becoming the top scorer in India’s tour of Australia in 2011. Although the team lost the series 4-0, He did make his mark for being a prolific batsman with the red ball as well. Moreover, he also made his first test century whilst scoring an impressive 116 runs in the final match of the series at Adelaide. Kohli was appointed as the vice-captain of the India team for the Asia cup 2012 and that’s where he played one of the best career knocks of his life whilst scoring an ultimate 183 runs whilst chasing against arch-rivals Pakistan. Although he didn’t been able to make his team reach into the finals, he has introduced himself to the cricket world in great style. Virat Kohli Biography: Although Kohli has established himself as a good batsman in the limited over’s cricket, he was yet to bring something special on board for the cricket fans and he did exactly that whilst becoming the top scorer for the Indian team during their series against the mighty Australians at home and one of his brilliant knocks included an innings of 100 in just 52 balls which were also the fastest century by an Indian in the ODI format. While many were still calling him as an ODI Player only, Virat proved them wrong whilst scoring 692 runs in India’s tour of Australia in 2014 which was also his first series as a captain for the Indian team after Dhoni took retirement from tests. This was the time, when everyone in the world has bowed down to the greatness of this legendary batsman and whilst this was just the starting of what was about to come, it established him in the league of greats in the cricket history. Ever since he has stepped into the International cricket, he has made the world believed in his greatness and skill for being one of the best batsmen of this era and he is still continuing with his quest of doing better with every day coming. He is the first cricketer on the planet to be awarded the top three ICC awards (test cricketer of the year, ODI cricketer of the year and Cricketer of the year) in the same year. Fastest player in the world to reach the 8000, 9000 and 10000 runs milestone in the International cricket. He is also the fastest player to reach the 35 centuries mark along with 15000 international runs. He is also the only batsman in the history of cricket to carry an average of 50 in all the three formats of the game. He is also an Indian with the highest rating points in all the three formats of the game in ICC rankings. Got awarded with Padma Shri in 2017 with Rajiv Gandhi Khel Ratna award in the year 2018. While these were just a few of the big list of rewards and recognition he has earned in his celebrated career of 10 years, his hunger to do more with his presence on the pitch every minute certainly makes him one of the greats in the history of cricket. 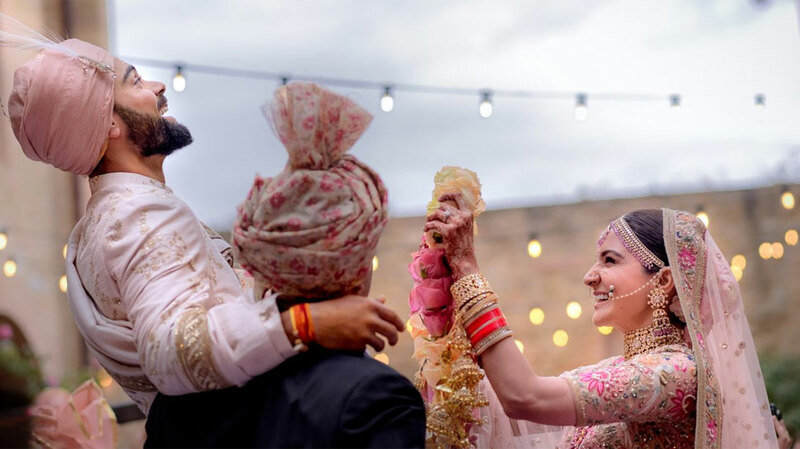 Virat Kohli Marriage: Virat and Anushka were believed to be dating each other for around three years before reports came that they have broken up in the year 2016. Eventually, they came back together with great chemistry and finally tied knot December 11, 2017, in a wedding ceremony at Italy which was only attended by all the close friends and family members of both the families. Virat Kohli Net Worth: Kohli is currently the highest paid Indian athlete with around 160 crores under his name annually. 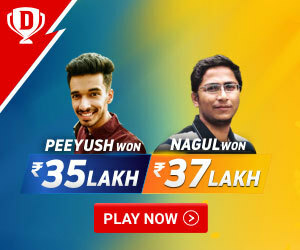 Whilst he is a professional cricketer who also plays in the Indian premier league for his franchise Royal Challengers Bangalore (RCB), he also gets a big chunk of his income from all the brand endorsements he does in the process along with other major commercial commitments. With that said, let’s take a look at some of the major business ventures and investments. 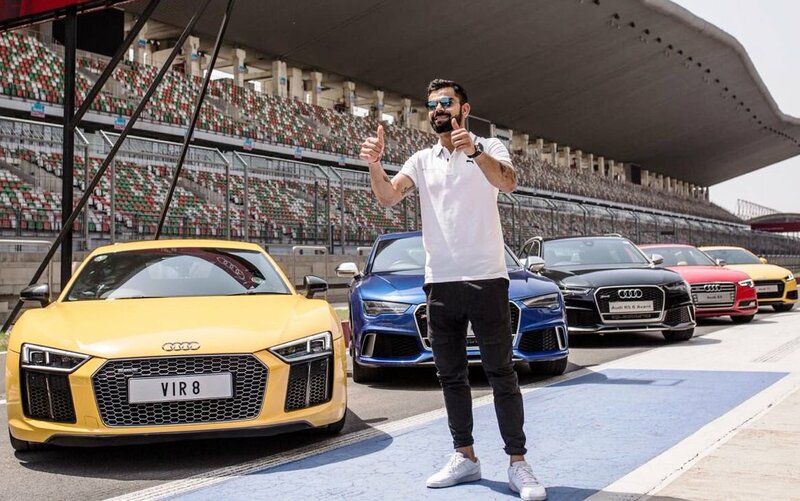 Virat is a big Football lover and this was the reason he bought the ISL team FC GOA in 2014. Kohli also became the brand ambassador and a major stakeholder of a social networking venture based in London named “Sport convo”. He is also a brand ambassador of major sports and casual wear brand WROGN which he launched in the collaboration with USPL. IN 2015, Virat Kohli also bought the co-ownership of the UAE royal franchise in the famous IPTL league. Virat Kohli Controversies: Although this famous cricketer is known for his sheer discipline and dedication on the field, even he was surrounded by certain controversies in his career. During India’s tour of Australia, his gesture of showing the middle finger to the crowd came under the dark clouds of controversies. During an IPL game in Delhi, he did break the BCCI code of conduct whilst meeting his beau Anushka Sharma in the audience box.